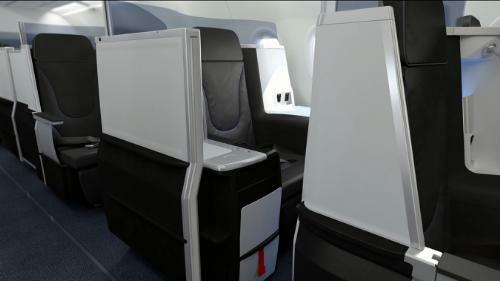 The Mint seating section will only be available on flights between New York and San Francisco and New York and Los Angeles, the airline announced in a press release today (h/t to USA Today). It’ll feature lie-flat seats, a tapas-style menu (full disclosure: the word tapas angers me — just call it “tiny amounts of food”) and those little personal toiletry kits so beloved on other class-separated airlines. Industry insiders say it’s a good time for JetBlue to offer seating upgrades and perks — premium seats at premium prices = cash registers ringing — but it could also be seen as JetBlue playing right into the hands of The Man. In other words, maybe it’s selling out by raising some passengers higher than others. JetBlue CEO Dave Barger doesn’t see it that way, calling it just another way to deal with competition. Coach is also getting an upgrade, he points out.